I'm not usually one to pick up a novel that has potential to be depressing unless I'm really in the mood for it. In spite of a stressful few weeks of work and real life drama from a variety of sources, I decided to spend some time with this anthology of sorts because it claimed to be a modern spin on The Canterbury Tales. I do plan to reread this one when I have the time to soak it in a bit more, but in spite of outside forces, I did enjoy my time with this one. It's been ages since I've read Chaucer (probably since college many moons ago), but I remember loving it. I wanted to see how Hutchinson and the other authors could breathe new life into the classic tale and make it more relevant for teens. The story revolves around a group that has been sent to a wilderness camp after committing various crimes or due to various mental health problems. The beginning of the tale starts when the group is dropped off in the wilderness. They are charged with finding their way back to the main camp and learning to work together. Gio, the narrator, decides to make the trek a bit more interesting by offering prize money to whomever comes up with the best story. Some of the teens choose to tell stories about why they are at Zeppelin Bend working on whatever is troubling them while others tend to take more poetic license with their stories. Most of the stories also have surprising elements - some of which were rather disturbing. As with all anthologies, there were some stories that I enjoyed more than others, but I did like that the various authors gave each character a distinctive voice and that all the stories played out together in the larger setting of the wilderness excursions. I want to reread this one and reread The Canterbury Tales in order to better find the allusions from the classic text in the modern update. Some of them are glaringly apparent such as the journey and the motley assortment of characters. My favorite stories were "Look Down" by Robin Talley, "A Cautionary Tale" by Stephanie Kuehn, and "A Violation of Rule 16" by Suzanne Young. Since the story revolves around youth who are troubled in some way or who have gotten themselves into trouble, some of the stories are difficult to read. Jenna's, in particular, hit me the hardest and tugged at my heart, but because it was difficult, I didn't count it as one of my favorites. Youth is a difficult time for many of us. We all felt during that stage that we were something other. Finding out who you are and where you place in the world is requires work and isn't an easy process. It's also a time to make mistakes and learn from them. I certainly feel that teens will gravitate towards this book as they will see something of themselves or their thoughts reflected in at least one of these characters. One Last Gripe: I wanted to know if some of the stories were true and not just the character trying to one up the previous storyteller. For example, I really want to know what happened to David's sister. Favorite Thing About This Book: I love that it adds a fresh spin based on inspiration from an old favorite while calling attention to problems in our society. First Sentence: I'm not a liar. At Zeppelin Bend, an outdoor education program designed to teach troubled youth the value of hard work, cooperation, and compassion, ten teens are left alone in the wild. The teens are a diverse group who come from all walks of life, and they were all sent to Zeppelin Bend as a last chance to get them to turn their lives around. They’ve just spent nearly two weeks learning to survive in the wilderness, and now their instructors have dropped them off eighteen miles from camp with no food, no water, and only their packs, and they’ll have to struggle to overcome their vast differences if they hope to survive. 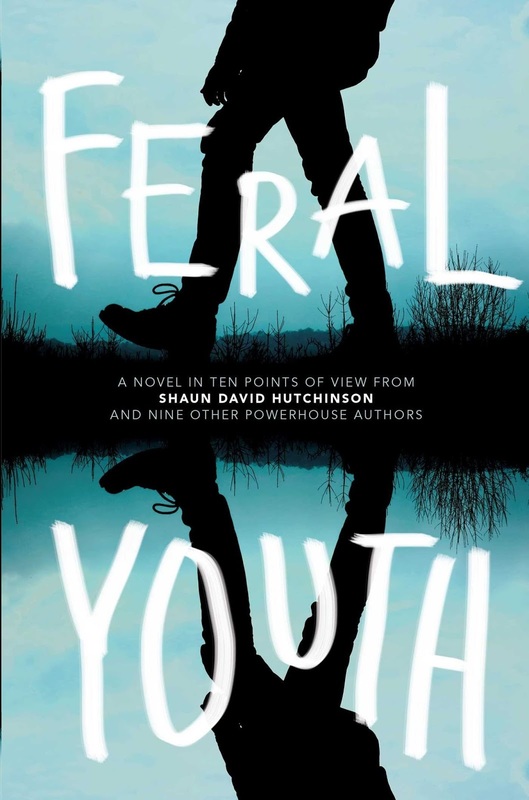 Inspired by The Canterbury Tales, Feral Youth features characters, each complex and damaged in their own ways, who are enticed to tell a story (or two) with the promise of a cash prize. The stories range from noir-inspired revenge tales to mythological stories of fierce heroines and angry gods. And while few of the stories are claimed to be based in truth, they ultimately reveal more about the teller than the truth ever could.